Dreams in the Lich House: DCC game announcement - the non-retro-clone retro-game? DCC game announcement - the non-retro-clone retro-game? Edit: So this post got nuked when I was editing some posts to play around with the templates. I think I need to look into how to archive a blog. Sorry all! In the meantime, I've had the chance to visit the discussion board over there a few times and see that they've got some pretty interesting ideas for the magic system; although it won't be a retroclone, I think this game will be super interesting to check out, especially in light of my own Appendix N reading goals this year. Basically, any fantasy RPG using 20-sided dice that has lots of fighting and monsters built into it is going to be compatible enough with other FRPGs that any DM sufficiently -into- the hobby to be even using this off-brand system to begin with will be able to convert in seconds. I mostly agree - I could take any 3x or 4E product and run it on the fly in an older game; I probably couldn't run an older module in 3x or 4E without effort. But I find it interesting that this publisher is staking their product identity on compatibility with the OGL and disavowing the old games. The DCC RPG breaks from this mindset in that it isn't trying to imitate old school D&D. We have OD&D, BECMI, and AD&D and they all do their job very well. 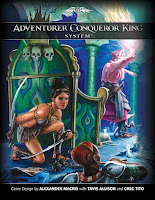 Rather, the DCC RPG goes back to the source texts that informed D&D (ala Appendix N) and builds a game out of those sensibilities. I know it is a subtle nuance, but the DCC RPG is a d20 game based on Appendix N, rather than a d20 game based on old school D&D. Hopefully this will be borne out once the beta rules are released. 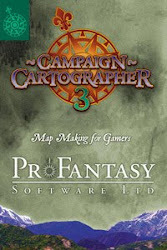 Usinf the rules of 3.x -.5 and doing things a little different sounds like a better idea to me than competing with Paizo over D&D 3.x and a whole bunch of free (or darned inexpensive) RPGs. I'm re-reading Appendix N type books myself, right now, filling in some gaps in my 'education' - it seems to be going around. Okay, tongue is in cheek - that's not meant to be snarky. I saw that there will be race-as-class in DCC rpg, and that made me smile. :) And that's the rub. I don't think we can out-Moldvay Moldvay. 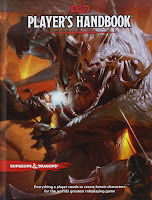 But I do think we can hew closer to Appendix N.
I'll get some thoughts over on the GG forums - to me, the D&D magic system is a big disconnect from guys like Lovecraft, or REH, or Clark Ashton Smith. Those works call for rituals and sorcery and demon summoning. Where did Shield spells and magic missiles and lightning bolts come from, anyway? Doctor Strange comics? To be fair, I haven't read the Harold Shea stories (yet). Don't get me started on the cleric. "But I find it interesting that this publisher is staking their product identity on compatibility with the OGL and disavowing the old games. Why would someone do that?" I don't think they are disavowing the old games, just re-platforming some rules. Like they said, they'd do it to leverage all the d20 and SRD stuff out there while simplifying 'the game' so it plays more like old school. Heck I'm doing it too.